Our lowest prices are available here. One of the best restaurants in Ronda, is situated right on our doorstep. Just a 2 minute walk from La Perla Blanca sits a riverside restaurant and bar with a delicious menu, with international flair, that changes daily. La Cascada boasts outdoor dining terraces in the summer, and cosy fireside dining in the winter. 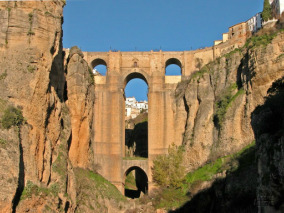 Just a 7 minute drive from La Perla Blanca, sits the historic town of Ronda. Stop for lunch at one of the many tapas bars or we can send you for a gastronomic experience to one of our favorite eateries. In the afternoon head onto the pedestrian only street of Calle Espinel for some great shopping. Enjoy a day visiting the white Villages that surround La Perla Blanca. The route is easy and relaxing through countryside of olive trees, lemon groves and cork forests, and the views are amazing. These traditional villages will take you back to real Spain, many known for their excellent pork products and the production of olive oil, or famous for their dwellings built into rock overhangs. 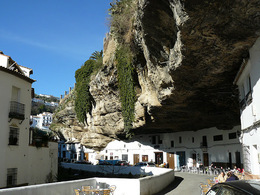 Setenil, Olvera, Benoajan and Motejaque and the Cueva del Gato (The Cave of the Cat). 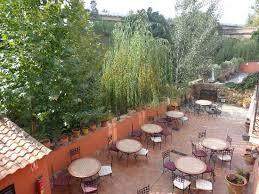 With lots of places to stop for lunch or a drink you will step back into Real Spain. 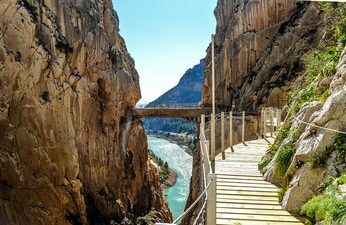 El Caminito Del Rey is a famous walkway pinned to the side of a gorge and is less than 1 hours drive from La Perla Blanca. In places the walkway hangs over 100m above the gorge below and the scenery along the whole walk is breathtaking. La Perla Blanca is centrally located to all of the above fabulous places. Just over a 2 hour drive, or much less, will take you to the heart of any of these beautiful cities, leaving you plenty of time to explore, soak up the sights, and even be back in time for dinner! We completely recommend basing yourself at our property, for between 4 days - 2 weeks, allowing you to unpack and unwind, and make the most of the Andalucia with day visits, returning back to La Perla Blanca each evening to relax in comfort. We have had many guests choose to do this in the past, and they have always very much enjoyed the advantages of a longer stay at La Perla Blanca.